Beartooth a case to use on your smartphone that essentially turns your phone into a walkie talkie to be used when your phone is out of range of cell service. 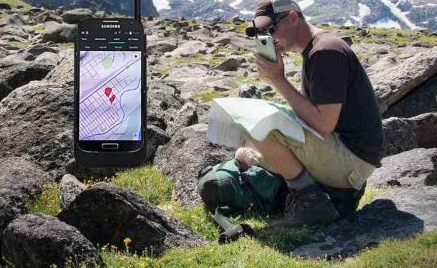 The device will allow you to make texts and phone calls with other Beartooth users over a radio signal, and even allows you to get your geo-location to be used with a map. The radio device will even encrypt your text messages using a 128-bit encryption to keep your data safe. The Beartooth phone case radio features individual or group messaging, an SOS broadcasting that that will broadcast your position at user defined intervals for emergencies, as well as hold extra battery storage for your phone right in the case. The radio will reach the standard length of most walkie talkies (around 2 miles), comes with a 2000 mAh battery that will double the battery life of your phone, and will operate in the 151-154Mhz (VHF) and 462-467Mhz (UHF) frequency ranges. Price and availability for the device is to be determined, but production is said to begin in 2015.